To manage data of web applications, Backbone provides a Model creation strategy. The model allows us to define properties to contain data and business logic. The Collection declaration allows to store collection of the data, which is later used by the view. In Backbone, the View (UI) is generally rendered using HTML Templates, and elements declared in this Template are accessible to View, but it might be possible that the HTML page (or MVC view or .aspx) already contains HTML elements and you need to handle the DOM events for these elements. The question then is how to handle them? In the following implementation we will see that the ‘click’ event for the html button element is handled inside the View object. The method which gets executed for the click event is used to add the model object into the collection and then the collection is rendered using HTML Table. 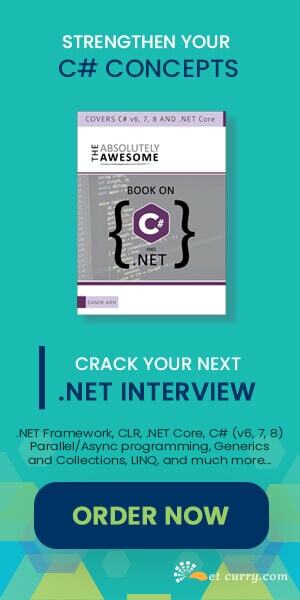 Step 1: Open Visual Studio 2012/2013 and create a new ASP.NET Empty web application. 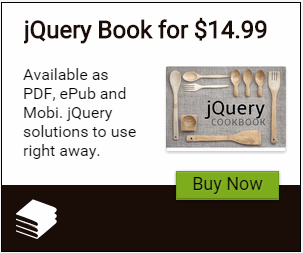 In this project, add Backbone and jQuery libraries using NuGet Package. //Events for the elements on the page. //Function to clear all textboxes. The ‘el’ element is defined as ‘body’ to display all elements in it. ‘events’ defines ‘click’ event for the button on the Page. These buttons are found using jQuery selector using #‘. Method is assigned to each event i.e. addData and clearInput. The ‘render’ function defines the logic for finding the <div> having id as ‘dvContainer’. Once it is found, then the HTML table is generated by iterating through the collection passed to the view. (The code is provided in future steps). The ‘addData’ method reads values entered in the Textboxes and using the ‘set’ method of the Backbone model, the value entered in the Textbox is passed to an individual property of the Employee Model object. The model is then added into the EmployeeCollection using ’add()’ method of the Backbone collection. The ‘clearInput’ method clears all Textboxes. Step 7: Since we need to add data entered in Textboxes to the collection and render the data from collection in a Table, subscribe to the ‘add’ event of the collection and call ‘render’ method of the View in it. So when the collection is changed, a new row will be added in the table. Conclusion: The Backbone library allows you to develop responsive web applications with clear separation of Model, View. Events associated with Collection helps to notify the UI elements about Updates and accordingly to display refreshed data.